The paint brush - there are many styles and purposes for them. Whether you are painting a house, canvas, miniature or calligraphic message, there is a brush for you! The paint brush is so old that its history is varied and lost in lore. Paint brushes are speculated to have been made from just about anything that would hold a liquid and spread it on a new surface. This could be plants, animal hair/fur and as technology developed, synthetic materials. The material and shape of the brush would dictate the kind of strokes and mark the paint would make when it hit its paintable surface. 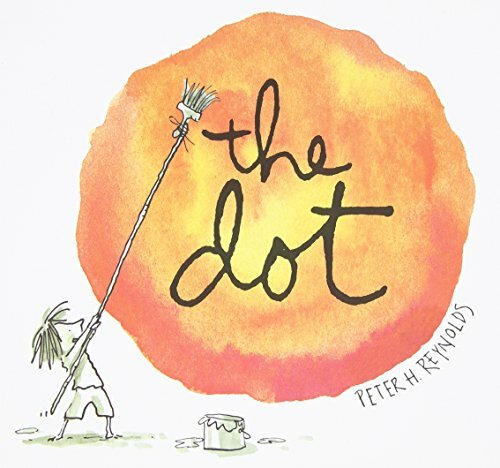 There is a great children's book by Peter H. Reynolds called The Dot which tells the story of a young girl who begrudgingly makes a dot on a paper and simply exploring that single mark opens a beautiful world of artistic exploration. Try that with your kids and paintbrushes! Buy a set of paintbrushes with varied sized and shaped brushes and see what marks you can make! No need to paint objects; just make marks on a paper and discuss what you see. Who knows what you can make! Make your own brushes and paint! 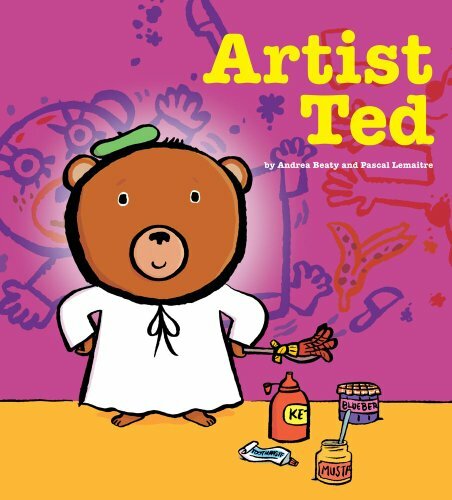 Another fun children's book is Artist Ted by Andrea Beatty and Pasquale Girourd where Ted deciders he needs an artist in his life. When he can't find one around the house, he becomes one and makes his own brush with a wooden spoon and curtain tassels! Then he makes paint from a variety of condiments. Why not try this out too?! This can get messy, of course, so we would suggest trying this painting experiment outside.